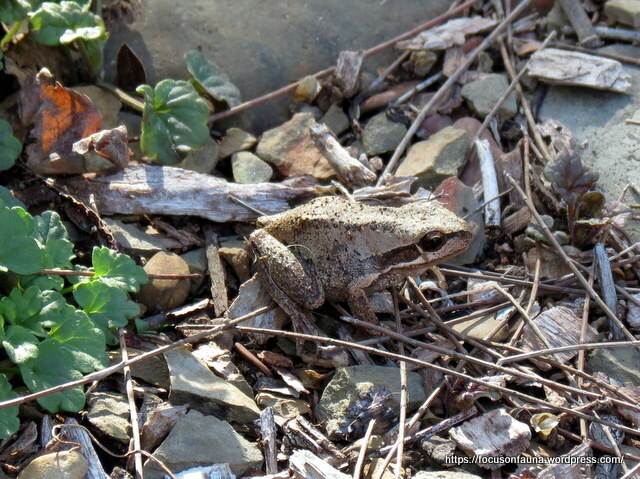 It’s amazing what you find in the woodpile – not just the usual suspects like spiders, woodlice, ants and earwigs, but frogs, skinks and even bats. 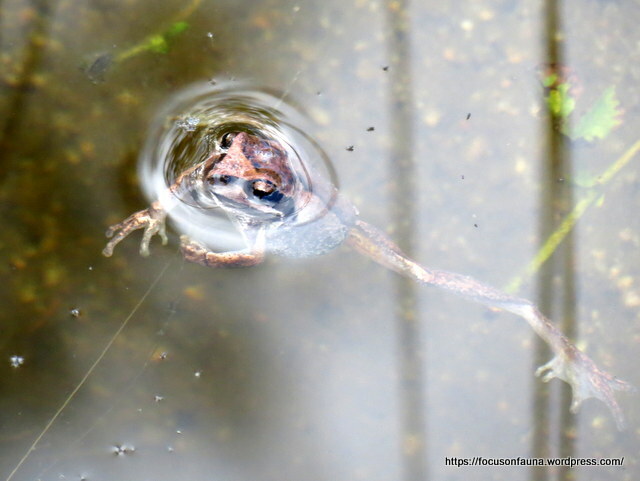 The little frog pictured here was one of three that appeared as we were moving split wood into the woodshed – after being relocated near the garden pond, it promptly hopped straight in (photo below). We think it’s a Plains Brown Tree Frog (Litoria paraewingi), but we’ll have a much better idea after Steve Wilson’s talk at the Flowerdale Hall on Friday evening. 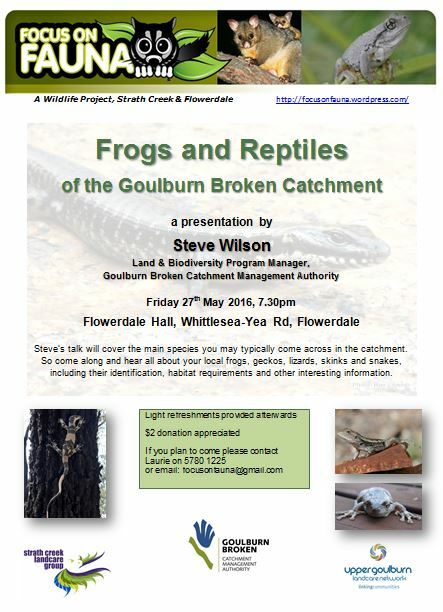 Steve will be talking about the frogs and reptiles of the Goulburn Broken Catchment. This is a natural follow-on from the previous Focus on Fauna talk on Turtles, and will complete the picture of our local reptiles and amphibians. Steve will have lots of wonderful photographs of the geckos, lizards, skinks, dragons and snakes, as well as frogs, that may be found in our district, some of which have featured in previous posts on this blog. For full details of the presentation, click on the flyer at left. And if you plan to come, please let us know by email to focusonfauna@gmail.com .